The days between Christmas and New Year's Eve always make me feel a little fuzzy-headed. What am I supposed to be doing again? There are no more presents to wrap and I've actually had a chance to put my feet up! Perhaps I should embrace this small respite, because 2018 holds a big change for us. We've purchased new (old!) house, which you can read a little about here. I'm so excited about this new adventure, and over-the-moon that I will have my own little studio in which to bake and photograph sweet things. It's a dream come true, really! 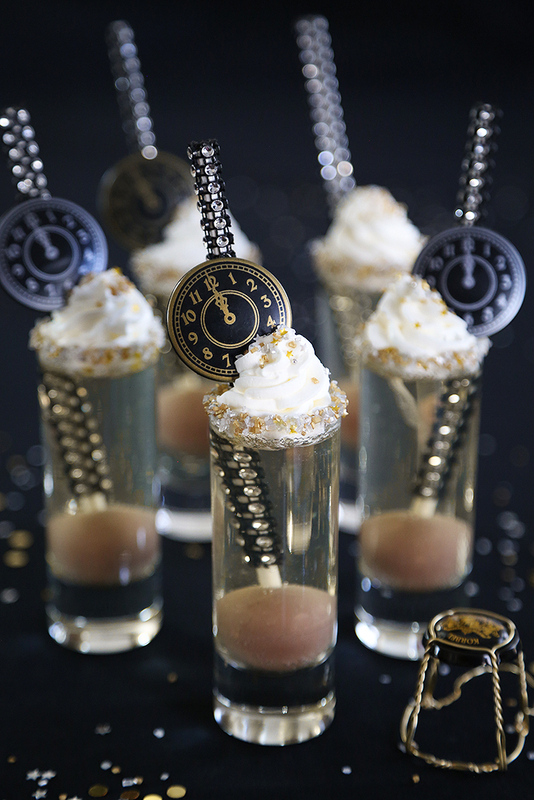 I'm raising a toast to all of this newness with these little Champagne Gelées, which are so simple to whip up. They are sweet and boozy, and your reward for making it to the bottom of the glass is a chocolate truffle! Merry Christmas Eve, friends! 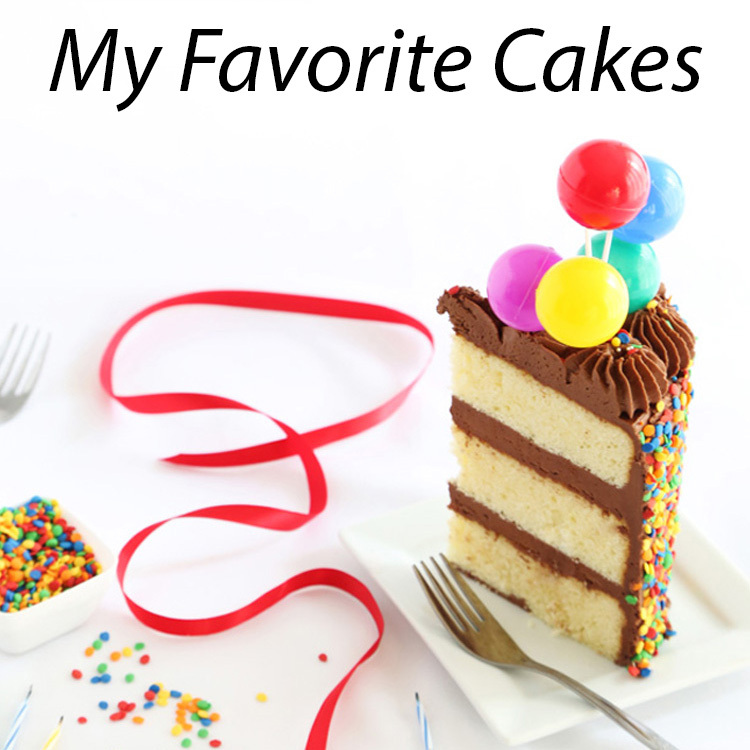 I hope you've enjoyed my daily posts as much as I have enjoyed baking and sharing them. My final advent treat is yet another shortbread cookie recipe, but one can never have too many if you ask me. These were my husband's favorite this season. 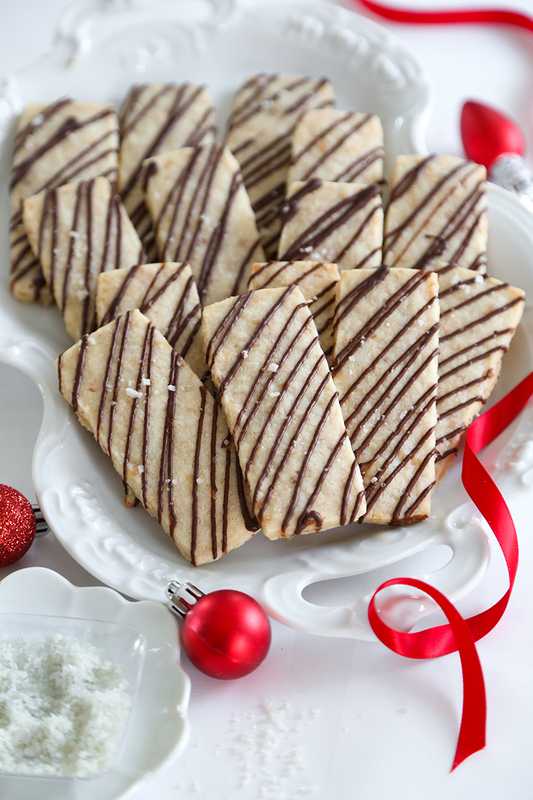 He loves all things toffee, and even though these cookies don't have an ounce of toffee in them, the toasted bits of coconut may trick you into believing they do. Yesterday I woke up with a powerful craving for red velvet cake, but with all the gifts to wrap and tidying to do, I knew I wouldn't have time to create a fancy layer cake. I decided to make a bundt cake because it's quick, and I'd have an hour to do other things while it baked. Wow, talk about tasty! A thick layer of cream cheese filling runs through the center of the cake, and it tastes like a cross between vanilla custard and cheesecake! It is lovely inside and out - what more can I say? We're just days away from Christmas! Are you ready? I've not wrapped a single present yet, but I have been making scores of cookies. These Lemon Sparklers have been a crowd favorite with their crunchy exterior and cake-like interior. The dough is rolled in coarse sugar and as they bake, they puff and crackle in the oven. 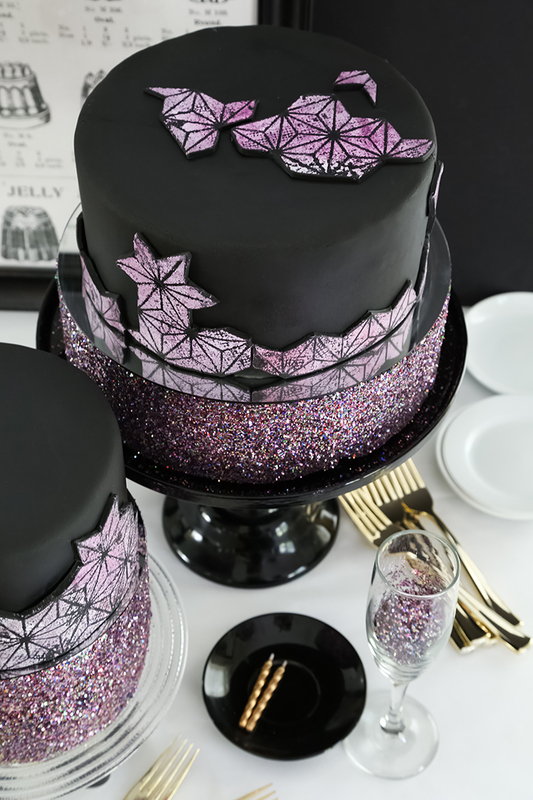 They glitter like jewels and look extra-pretty stacked on a serving plate. 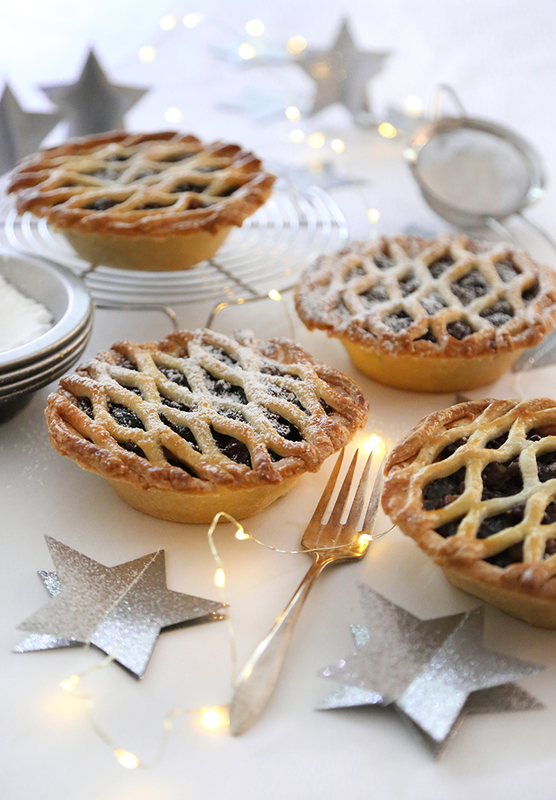 I've been hesitant to try my hand at homemade mincemeat, and now I'm not sure why. Perhaps it was mention of suet in many recipes (and I haven't been acquainted with that ingredient since this 2010 post!). Or maybe it was the seemingly endless list of dried fruits to procure. I'm happy to report that I found all the ingredients needed at my local grocery store, and it's not difficult to make! It's also SO satisfying to check that item off of my baking bucket list! If there were ever an opportune time to make this bread, it is now. First of all - it's Christmastime! And this bread was named for the season by our Scandinavian neighbors. I've been told that Norwegians cannot imagine a Christmas season without Julekage. (Is this true?) Second, at the end of the baking day you'll have three gorgeous golden loaves, which means one to keep and two to give. I'd almost decided to forgo our tradition of panettone French toast this year and make these panettone muffins instead, but I've reconsidered. This bread deserves more than just one appearance at our table this month. It's only available to us in December, which makes it even more special to enjoy while we can. Last week I purchased a loaf studded with candied citrus and dried cranberries. I felt it was destined for traditional French toast, until I remembered a favorite recipe for baked french toast. I was inspired to make these funny guys after reading about nisse (or tomtar) from Scandinavian folklore. These little fabled creatures have long white beards and pointed caps, and they are associated with winter and Christmastime. In older versions of lore most nisse are benevolent, but if they are mistreated then trouble is not far behind. Modern versions of nisse are said to bring Christmas presents in Sweden and Norway, like Santa Claus! 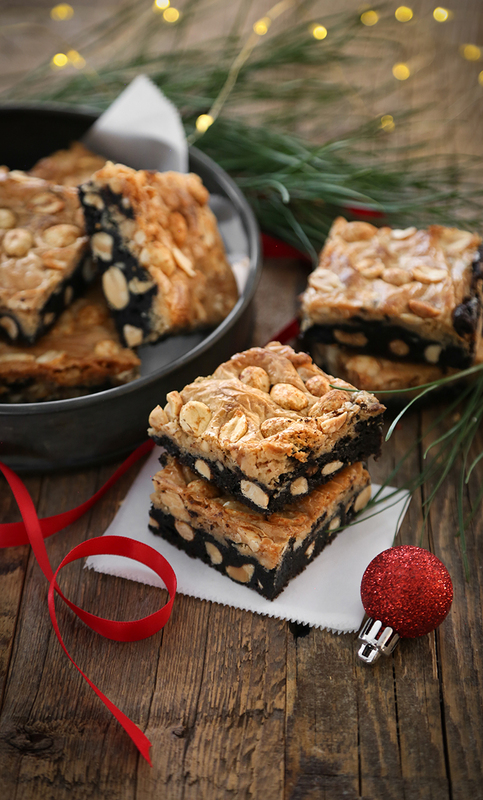 These delicious salty-sweet squares are a wonderful hybrid of dark chocolate brownies and peanut butter candy. They are studded throughout with roasted salted peanuts which give them texture and crunch. The hardest part about this recipe? Waiting for the bars to cool so you can slice and eat them! 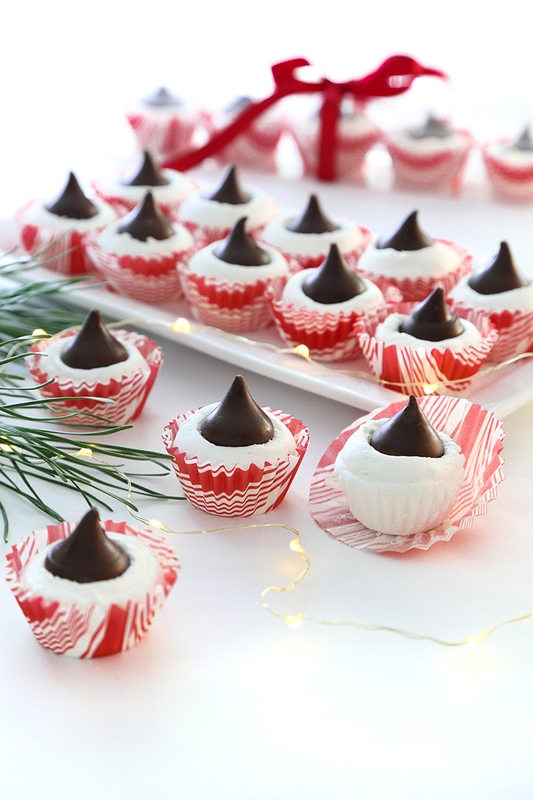 Eating divinity candy at Christmastime is a tradition here in the south, and it seems like everyone has a beloved family recipe. The recipe I use is not a family heirloom, but is from a 1987 Hershey's cookbook that is filled with vintage recipes. Like all divinity recipes, it uses simple ingredients, but it can be temperamental to make. Similar to meringue cookies, divinity should be made on dry days with low humidity. Too much humidity will prevent the candy from setting. When the weather is cold and dry and my hair has enough static electricity to stand on end, I know it's the perfect low-humidity day for making meringues. It's not hard to whip up a big batch, and I'd been dreaming of pink, green and red cookies for a few days. 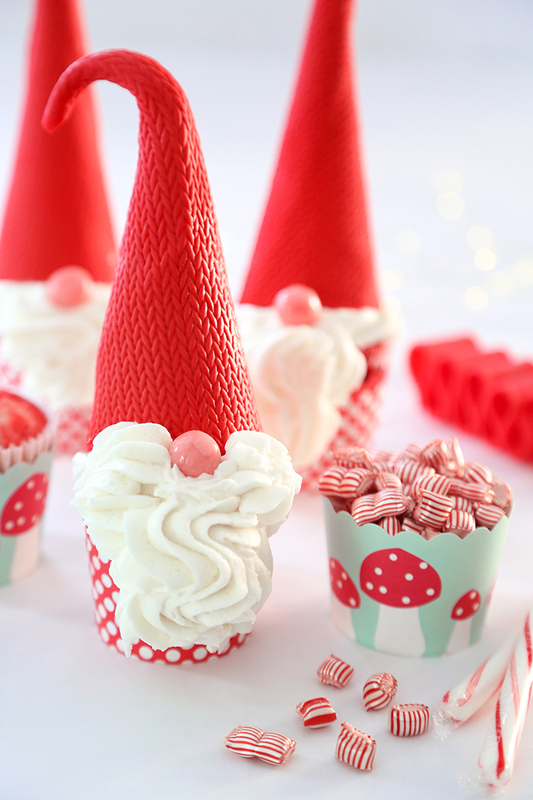 I piped them in all shapes and sizes, and used white nonpareils for texture on some of them, too. All piled together they remind me of Christmas tree ornaments. 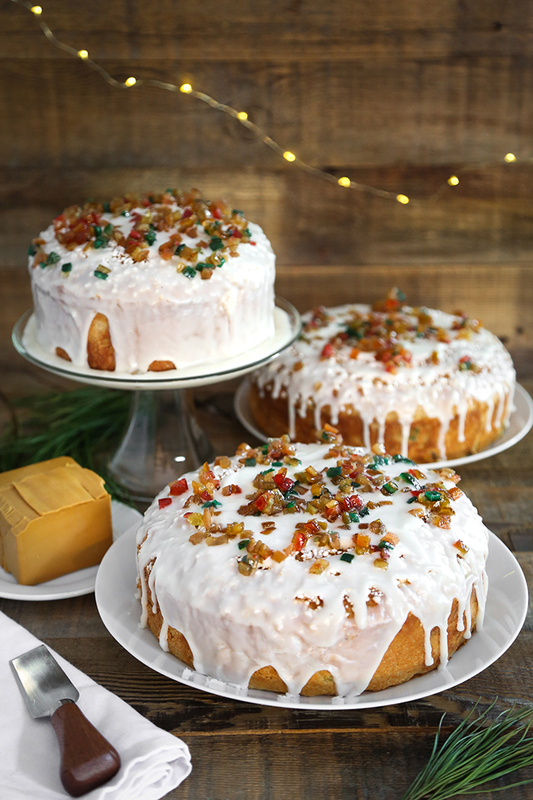 There must be a million different melting snowman treats on the blogosphere, so when my friends at Food Network approached me to make a melting snowman cake, I wanted it to be something fresh and different. 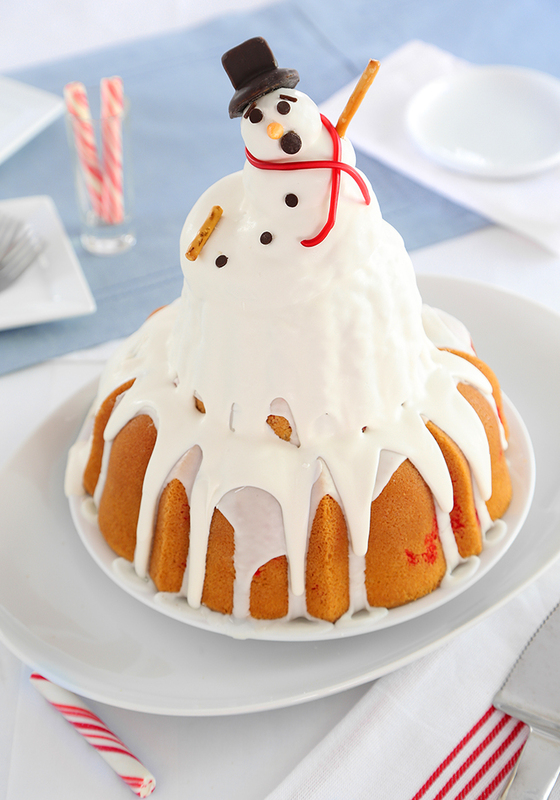 I'd never seen a melting snowman bundt cake, so that became the plan. One bundt cake turned into two stacked high, so we ended up with a double bundt cake that will feed the masses at your next holiday party! Rumor has it that today is National Cocoa Day! I'm not sure that pink strawberry hot cocoa was what they had in mind when the holiday was created, but that's okay. 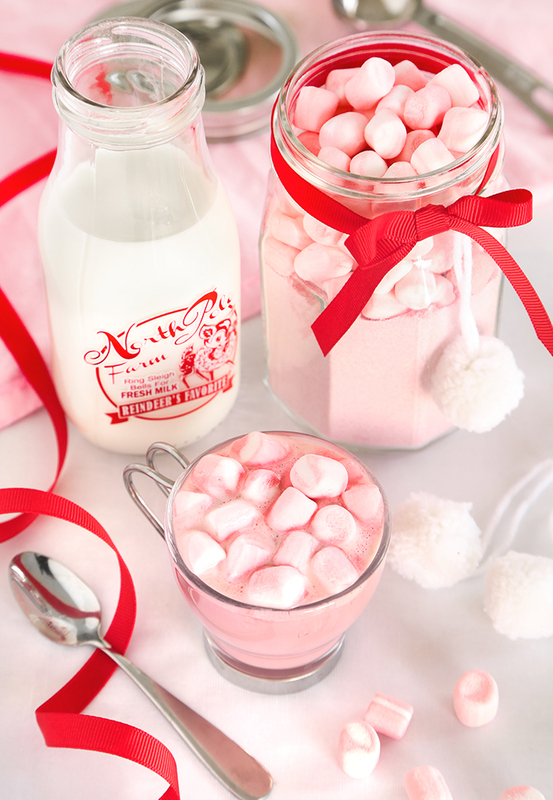 It's delicious and makes a super cute gift-in-a-jar. I look forward to purchasing a big loaf of panettone on December 23rd, because it makes really delicious and special French toast for Christmas Eve breakfast. This year I'll be breaking that tradition because I've found something even better! 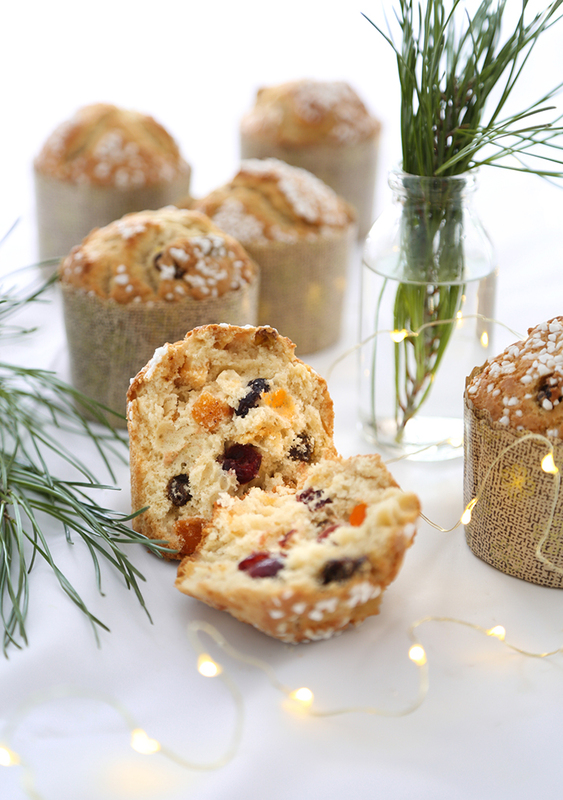 These panettone muffins are divine and they hold all the distinctive flavor panettone is known for. I'm hooked! This is one recipe that I've been meaning to add to my recipe index for ages. Back in October I asked my Facebook friends what kind of traditional holiday sweets they cook up in December. My Ohioan friend Tina said "It's not Christmas in Ohio without buckeyes." That made me reflect upon the last time I had them, which was almost too long ago to recall! I added them to my advent list that very moment. Stirring up a batch of bubbling mulled cider is one of the coziest ways to get into the holiday spirit. 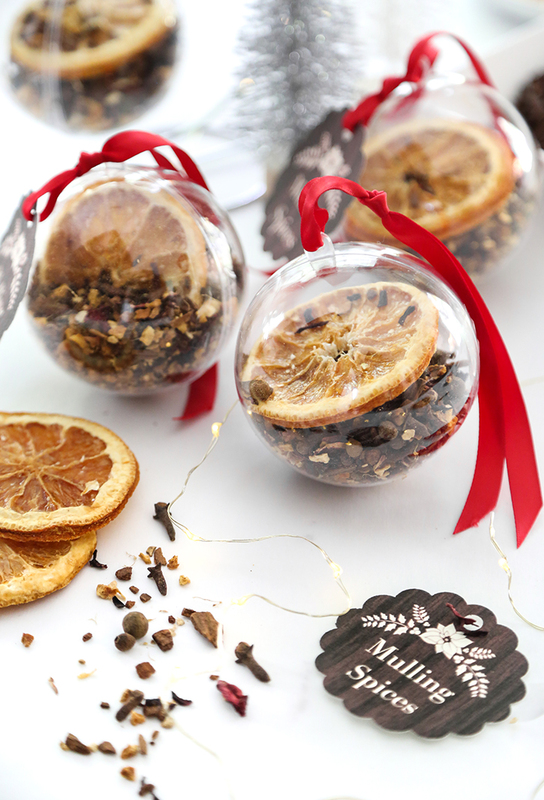 Last year my mother-in-law gave me an ornament filled with mulling spices that she found at a local Christmas market. It was a lovely little thing to get, and so useful! I knew it was something I'd like to give because I enjoyed receiving it so much. I recently had a wow moment when I first sampled whipped shortbread. It has the buttery flavor you'd expect from Scottish shortbread, but none of the denseness. 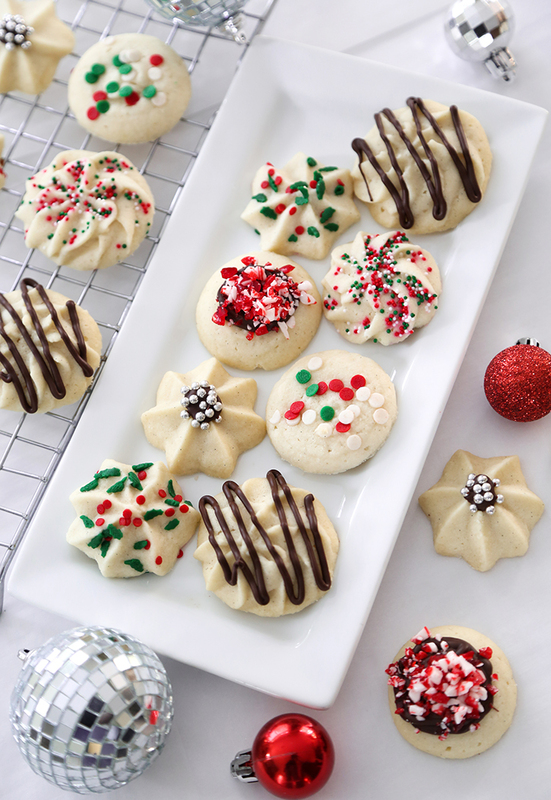 These cookies are much more delicate with a texture that practically melts in your mouth. After making my first batch I kept urging anyone in close proximity 'YOU HAVE TO TRY THESE' which was really bossy but I felt it was in their best interest. Bûche de Noël is one of my favorite traditional Christmas cakes to make because it is equal parts delicious and beautiful. 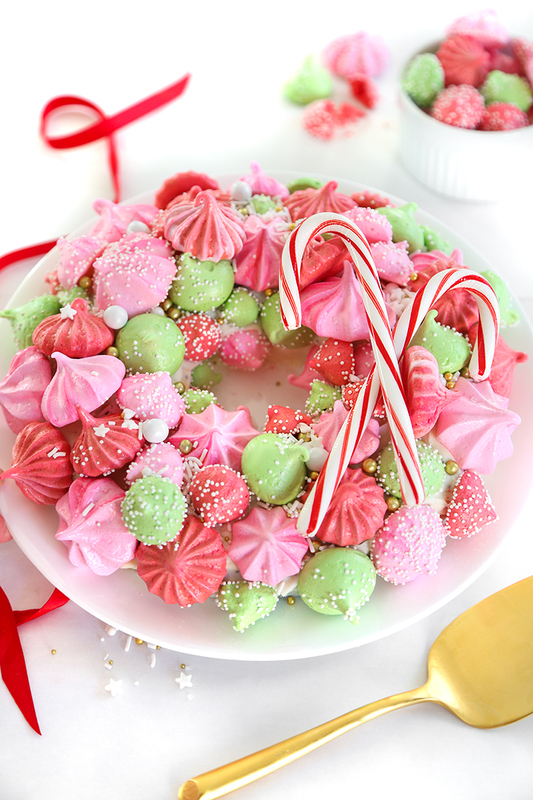 It's a holiday centerpiece you can eat! 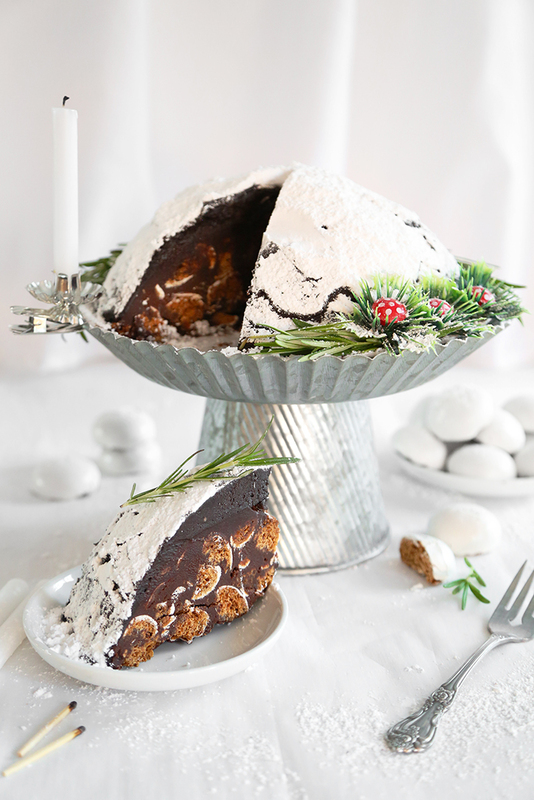 I've made a few different versions over the years including 2015's Mulled Wine Stump de Noël, a Mint Chocolate Cheesecake Yule Log in 2013, and as far back as 2009 (my first year blogging!) with a step-by-step version that still sees a lot of traffic each December. 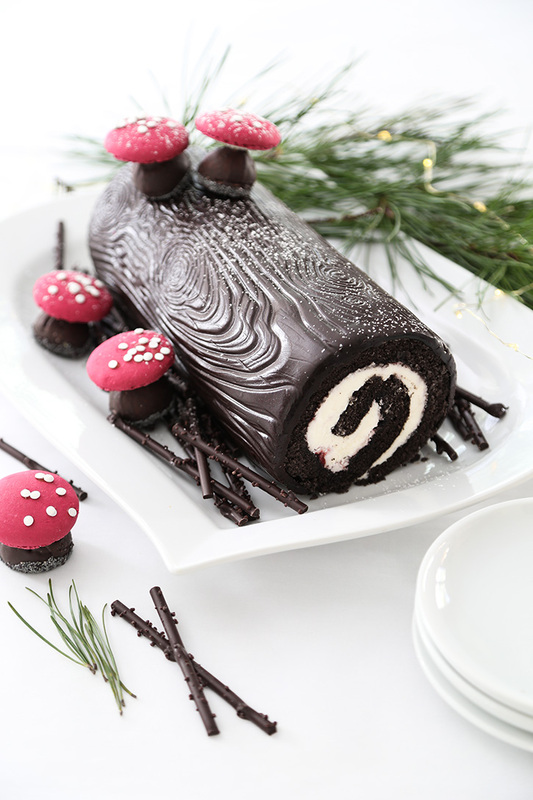 I'm happy to add another flavor to the list with this Black Forest Swiss roll. Tart black cherry plays well with dark chocolate sponge cake, and whipped vanilla buttercream tips to lighter side and gives the cake balance. Bags of pfeffernüse cookies start appearing in the seasonal aisle at my local grocery store around December 1st, and it's a welcome sight. I've yet to try a scatch-made version of the cookie (it's on my list) because I always go a little overboard purchasing my favorite ready-made variety. This year I bought a literal armload, so with such a surplus I've been incorporating them into some of my favorite recipes. Like this one! My little cousin Hannah is participating in a 4-H Christmas cookie competition, so she came over last Saturday and we had a baking day. 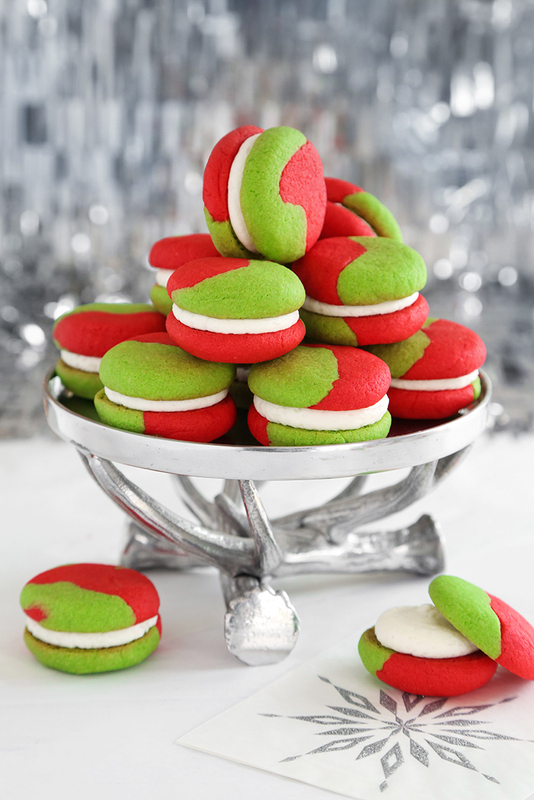 We put our heads together and came up with these eye-popping green and red sandwich cookies, which I think is a winning recipe no matter the official outcome. During assembly, Hannah commented 'they kind of look like macarons except these are waaaay easier to make!' Never a truer word spoken, my friends. I look forward to holiday entertaining all year long, but the stress that sometimes comes with being the hostess with the mostest is very real. That's why I rely on recipes like panna cotta which you can throw together in minutes and store in the refrigerator until party time. 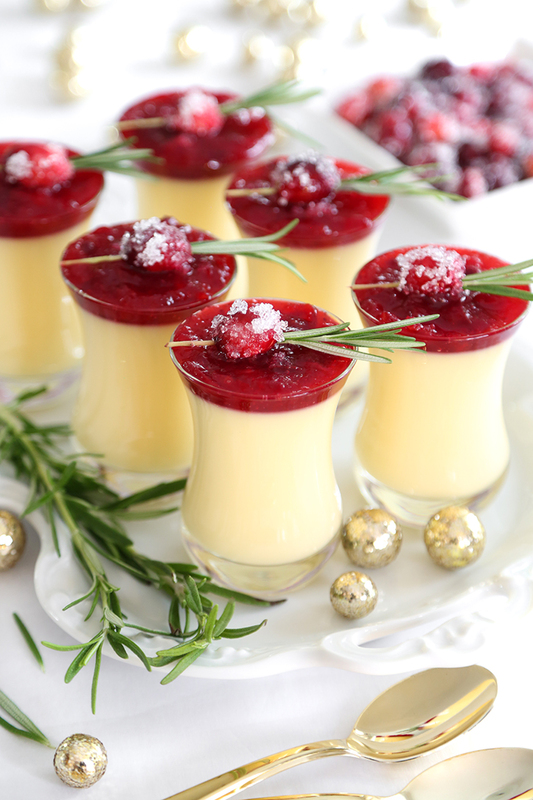 This eggnog version could not be easier because it's made with your favorite prepared eggnog! This was my first time making kringle. 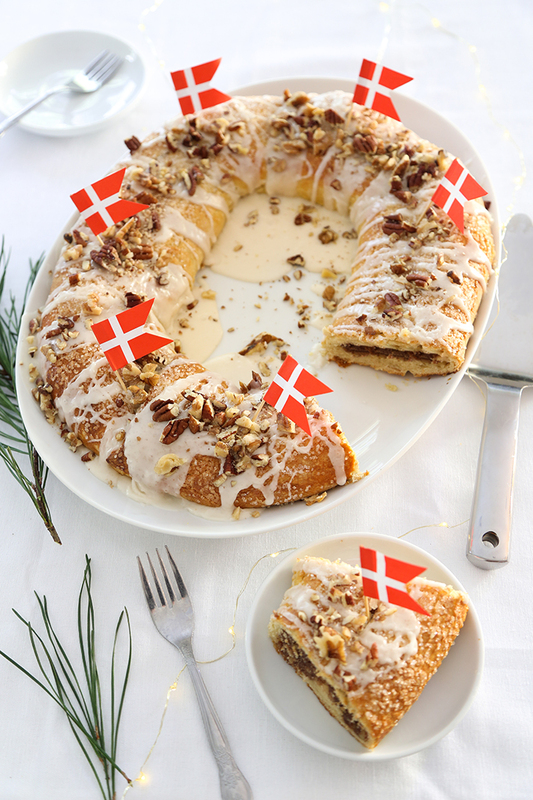 The recipe I bookmarked included a headnote explaining how it symbolizes Danish hygge - the comfortable, good life. This intrigued me. Doesn't everyone want to taste the comfortable, good life? (Yes!) The recipe was spare with instruction and offered no step pictures, so I almost didn't make it. I didn't know what kind of end result to expect! After researching many different kringle recipes online, I decided that I could read between the lines well enough. I'm so glad I forged ahead! Say hello to my new favorite Christmas tradition. It is a glorious pastry that makes a nice breakfast or afternoon pick-me-up. It has several steps but it's not too hard to make, and I'm including all kinds of instructions and visual cues (a video!) so you can make it at home, too. Like clockwork, December arrives and the desire to make fudge is almost as strong as my craving to eat it. I think fudge is a perfect metaphor for December: intense, sweet, rich. Multum in parvo, translated 'a great deal in a small space'. 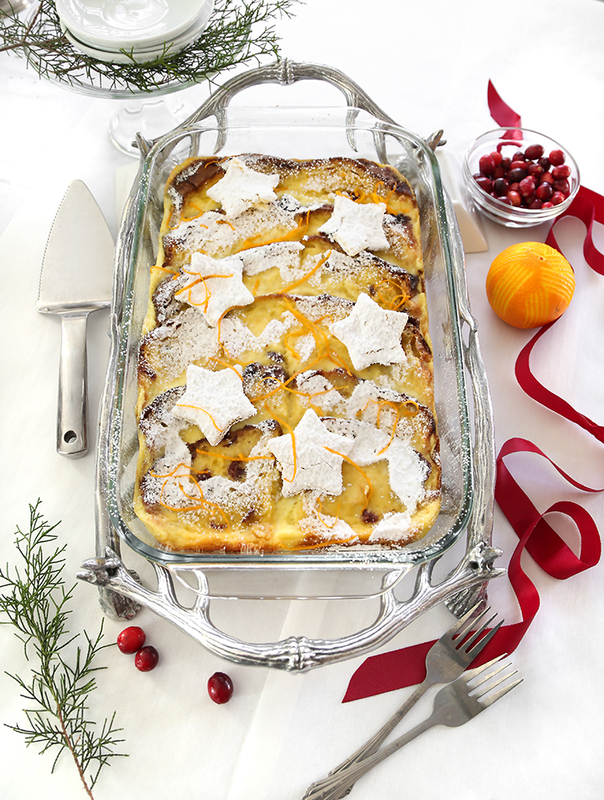 That's exactly how I'd describe this cranberry-orange fudge which is packed with strips of fat sticky orange peel and tart dried cranberries. 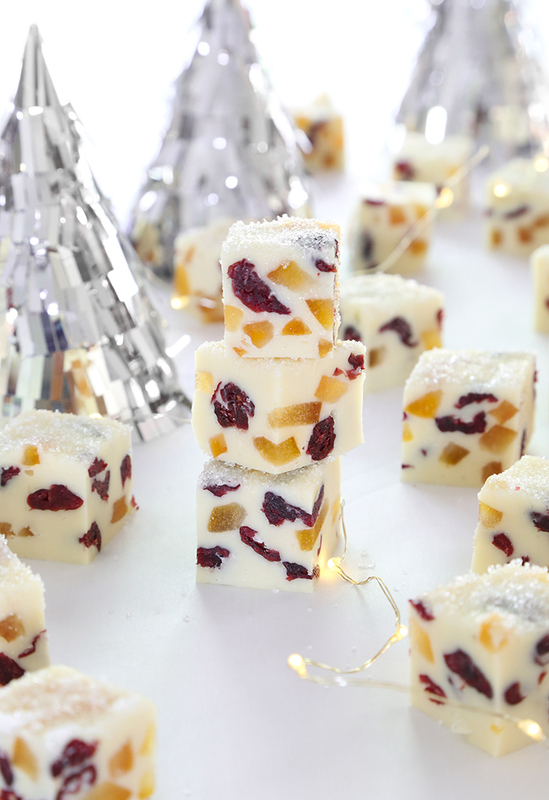 The fruit is suspended in creamy white chocolate candy, and slicing it into squares is real neat. You get a different cross-section design of orange peel and cranberry with each piece. My list of treasured Christmas traditions is extensive to say the least and probably reads something like Buddy the Elf's to-do list, so thank heavens I don't have to choose a favorite. 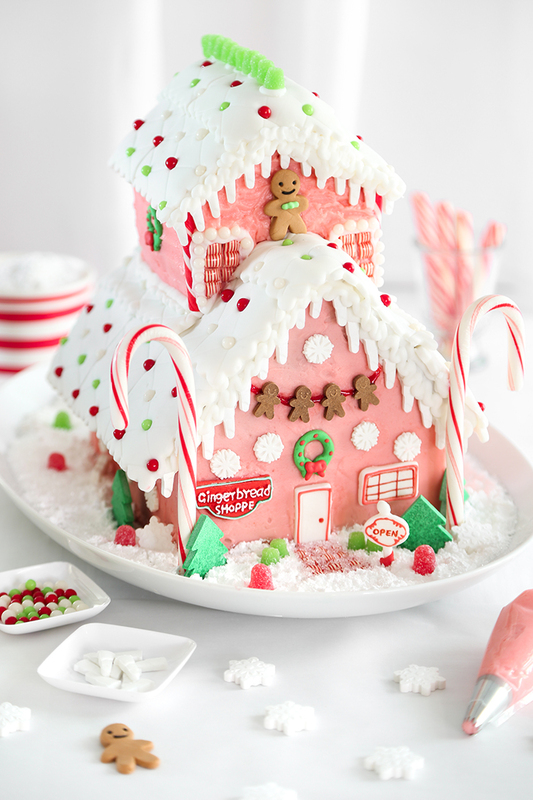 However, I'll admit that gingerbread house-making is waaaay up there, near the top! This year Wilton invited me to create a gingerbread house using their ready-made gingerbread kits and decorations. What a treat! Having all the pieces ready to assemble made the process so efficient and I could focus all my creativity on decorating, which is my favorite part. And 'tis the season for the annual Sprinkle Bakes Advent. That means 24 consecutive days of treats, which always makes December a little more special here than any other month. 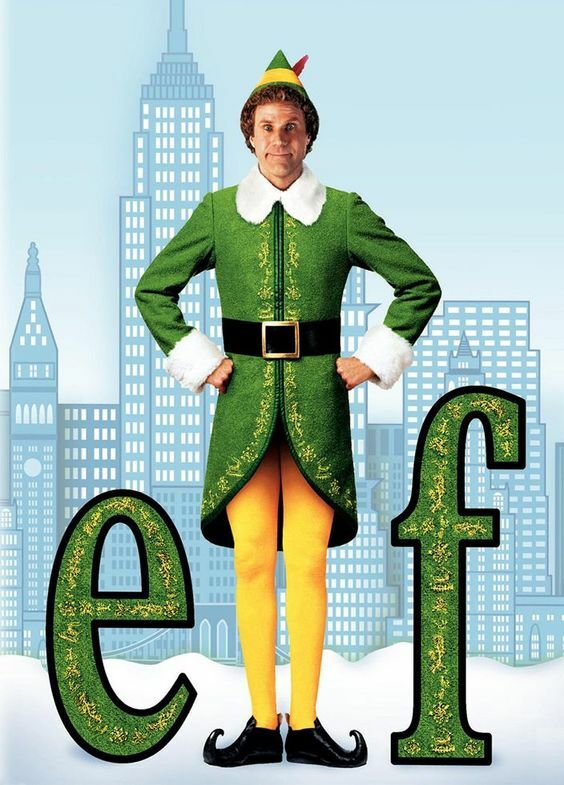 This year I'm focusing on beloved Christmas traditions. Going forward you can expect to see delicious treats inspired by seasonal flavors, with a little winter folklore in the mix. 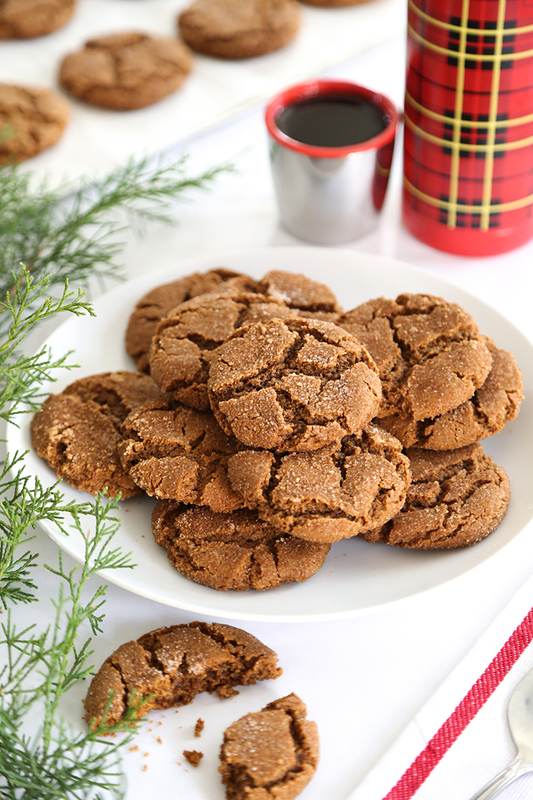 I'm kicking things off with a cookie that very well may be Santa's favorite - gingersnaps! This version is crisp around the edges, chewy in the center and it has a secret ingredient that makes it absolutely crave-worthy. 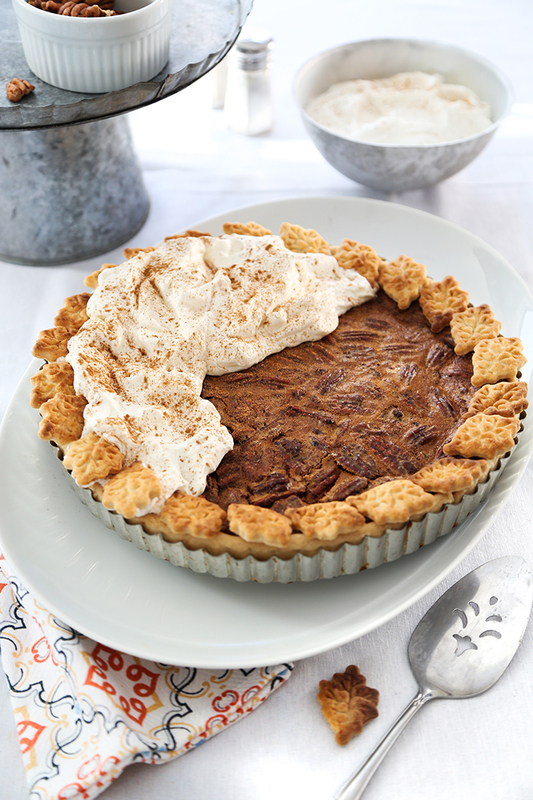 November is officially pie month at my house which means I'm testing new recipes and putting a fresh spin on old favorites, like pecan pie! It's always the first to yield an empty pie pan at our Thanksgiving dinner. This version is my favorite so far, and if you're a pie purist it could be your new favorite, too. If you're cozying up to some weekend kitchen adventures then I'd like to recommend a recent favorite that is so season appropriate! 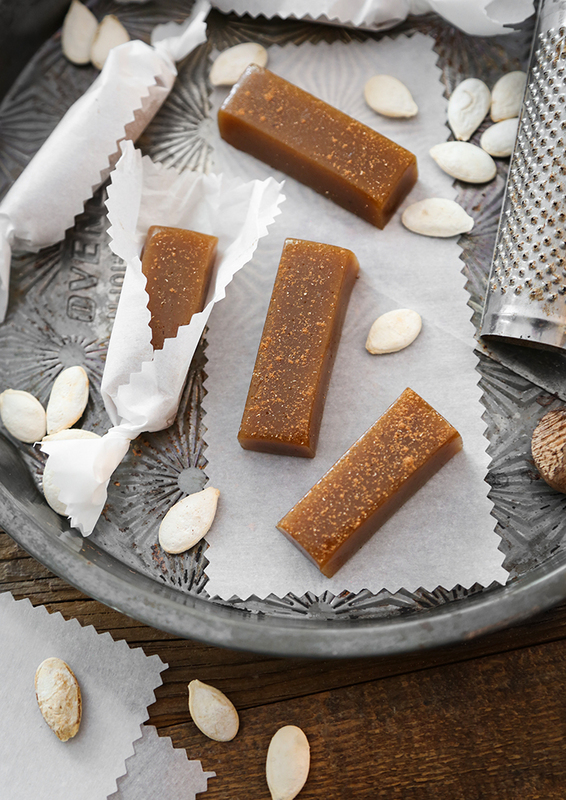 Pumpkin spice caramels are so soft and buttery, it's almost impossible to eat just one. I'll be making my third batch soon, and since this recipe yields a high quantity I plan to portion them into bags for Thanksgiving take-home treats. Thanksgiving is Mother's favorite holiday, and like clockwork on the first day of November we receive our invitation to her feast. I'm the desserts-bringer and each year I try to think up something a little different and unexpected. 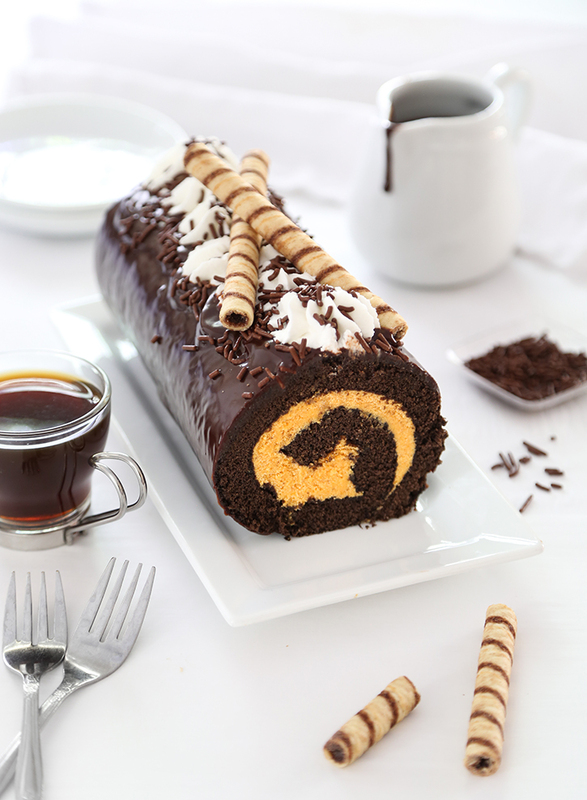 This Swiss roll fits my criteria of 1.) delicious 2.) season-appropriate, and 3.) looks pretty on the dessert buffet. Fried apples have been a staple on southern tables for ages, and although they're not winning any beauty contests, they more than make up for that with their buttery-brown sugar flavor. 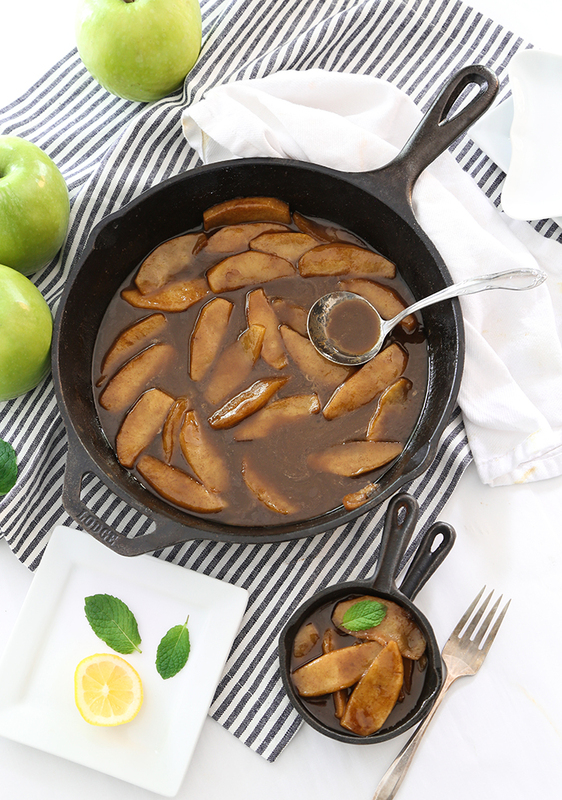 I grew up eating fried apples as a side dish to other savory foods - pork dishes, especially - but they were also served as dessert and alongside buttermilk biscuits for breakfast. We're enjoying cooler weather here in the southeast, so I'm eager to take the pugs outside and let them play in the crisp air - but first! 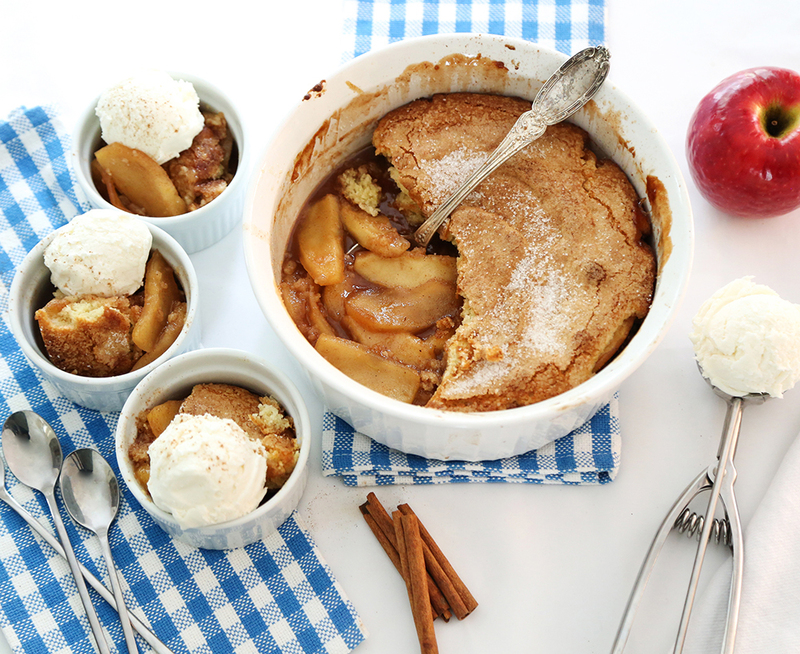 First I'd like to share this Classic Apple Cobbler, which is so season appropriate and easy to make, it could be a good recipe to cozy up to this weekend. It's great at any time of year but I crave its warm spices in cooler months. It's so well-loved there's never a scrap left behind! We are on the cusp of October, so I figure it's okay to start rolling out all the spooky, haunted, pumpkin-spiced, orange and black treats in any order or combination thereof. Lately I've been drawn to monsters from classic literature, so a Frankenstein's Monster cake seemed like a good place to start! I love black silhouette technique on white-frosted cakes. You may remember my Portrait of Poe red velvet cake from years ago, or last year's Scary-Good Skeleton Cake for the Etsy Journal. 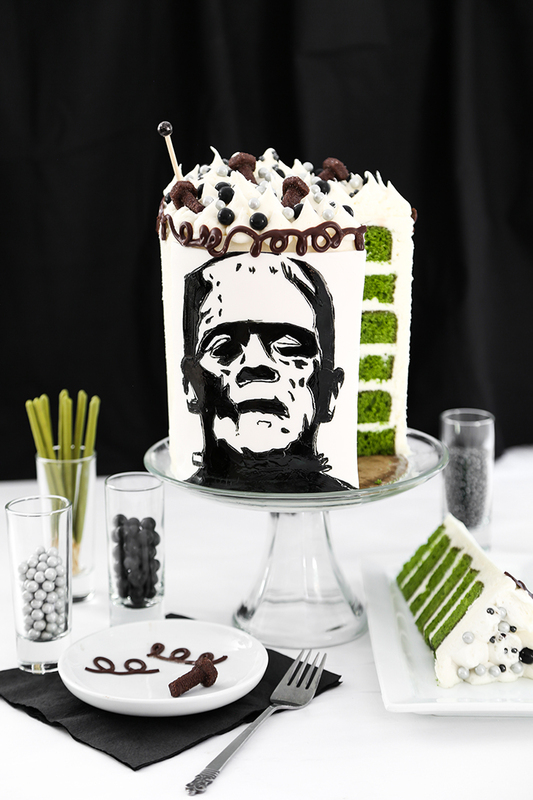 I'm happy to add this green monster cake to the roster and perhaps someday a proper Nosferatu! This cake came about after a friend asked me to make a Taco Bell cake for her husband's birthday. I thought that was just the cutest idea ever, so I set out to find examples of what a Taco Bell cake might look like. After an online search - wow! Turns out Taco Bell cakes are totally a thing! 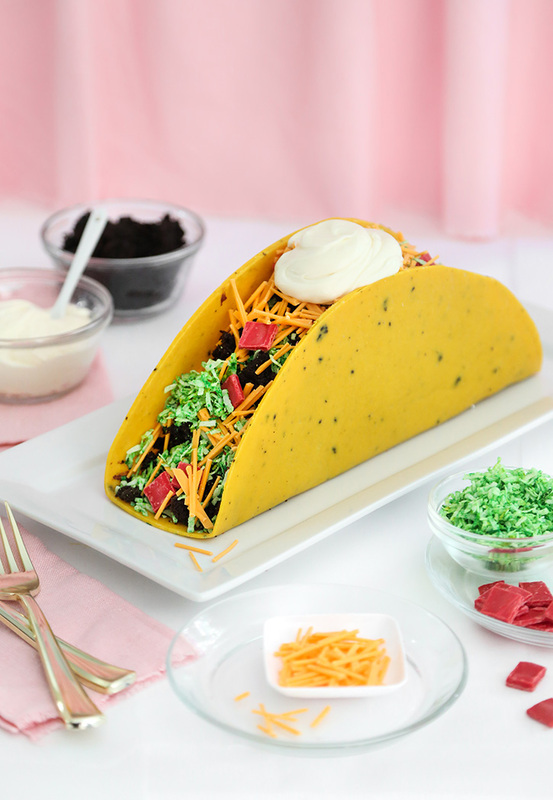 I gathered some ideas and came up with something I felt was appropriate to feed a crowd of 50, which was a two-tier cake with two small candy taco supremes on top and the bell part of the Taco Bell logo. In all my baking books (which is quite a few) butter cake recipes are often the most dog eared with pages-stuck-together and splattered with batter from heavy use. They are just so versatile and delicious. This one is made in two standard 9-inch round cake pans. 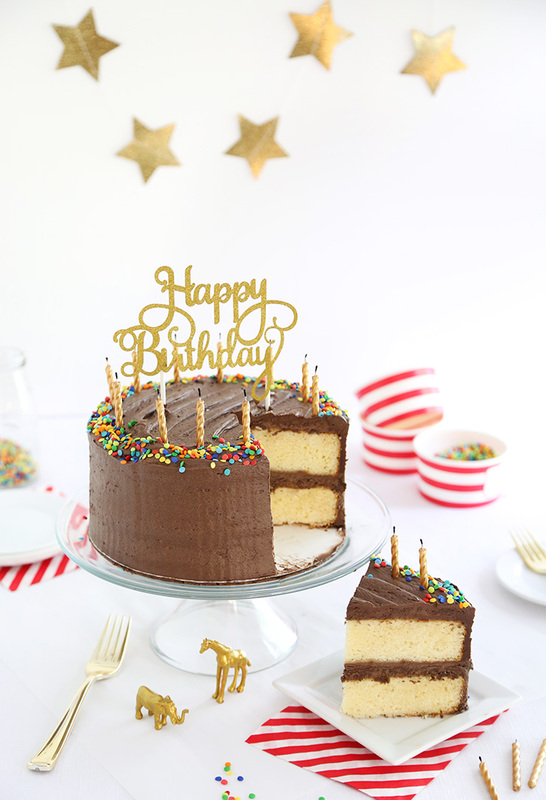 It's covered in fluffy chocolate buttercream with confetti sprinkles and candles on top, which in my opinion makes it a proper (and nostalgic) birthday cake! Tomorrow marks the beginning of my favorite part of the year - baking season! 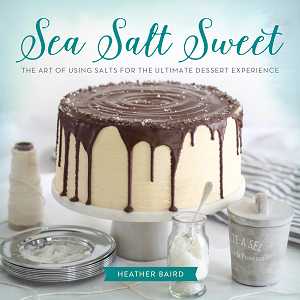 It's the time when I celebrate yeast breads and pie, and make all kinds of candy recipes that I'd shelved because of summer's humidity. 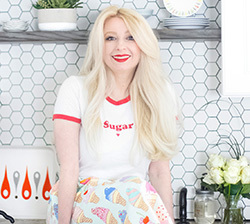 It's the time of year when I feel most happy and energized with new dessert ideas swirling around in my brain. Also - school's in! I don't have children, but I live close to an elementary school so every day I see little ones at recess enjoying these mild days on the playground. 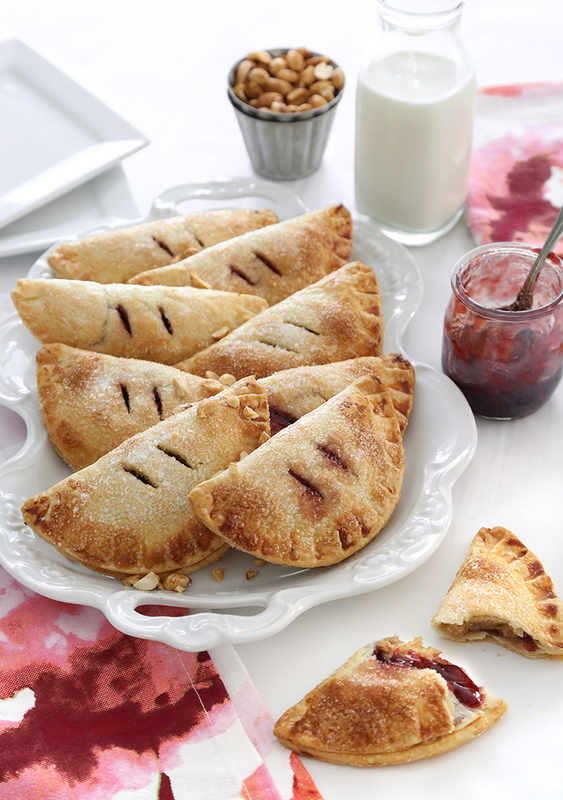 There was definitely some nostalgia involved when I whipped up these hand pies. Peanut butter and jelly appeals to kids of all ages, and this portable version of pie makes a great addition to lunchboxes or as after-school snacks. Nothing screams PARTY like a giant pink cookie cup! Lately I've had cake on the brain, so I wanted to switch gears and do something fresh and fun. 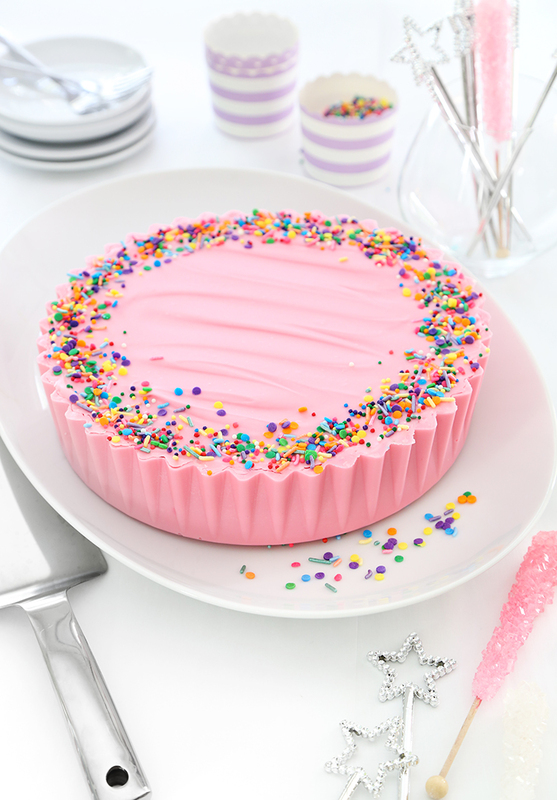 I've always loved baking with color, so I began this project with the first thing in the pantry that caught my eye - pink candy and lots of it! 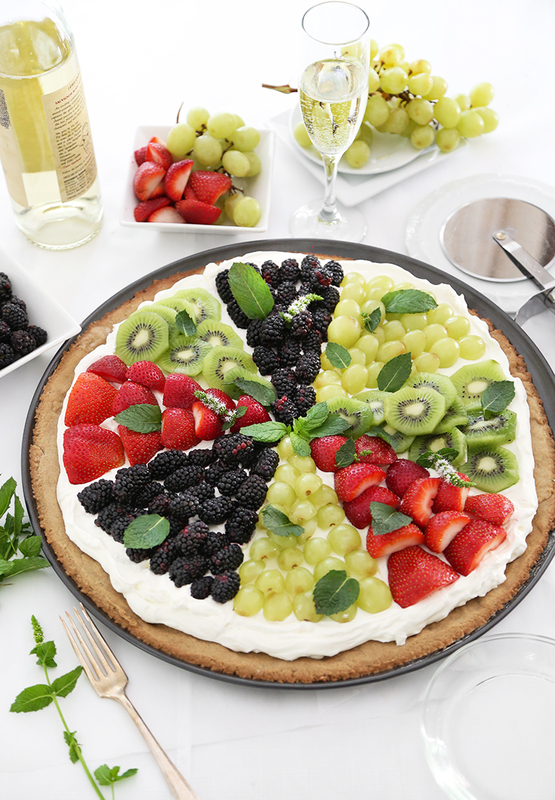 Fruit pizza is great for hot summer days because it's chilly and refreshing. You can use your favorite combination of sliced fruit or the season's best berries for toppings. I've tried a few different versions, and this one is my favorite yet with its slightly chewy and buttery brown sugar crust. It provides a sturdy foundation for mounds of whipped cream and all the colorful sliced fruit you care to pile on top. 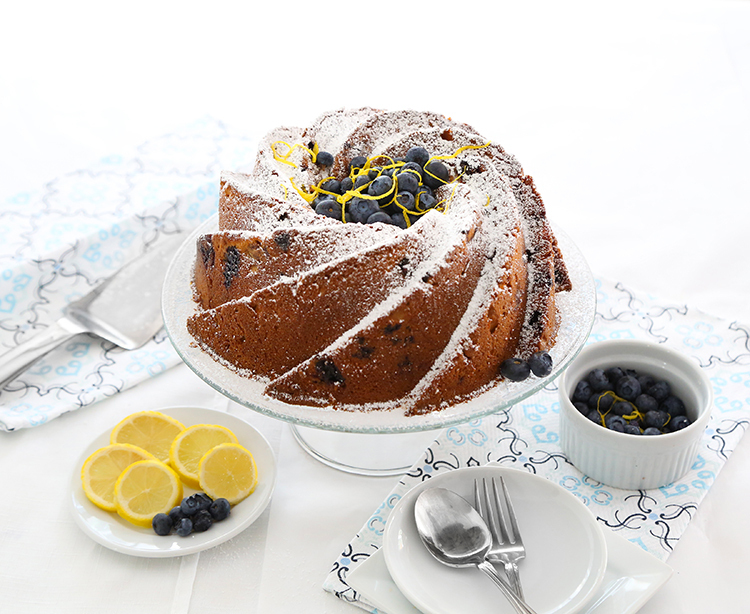 Everyone needs a good blueberry pound cake in their recipe collection. 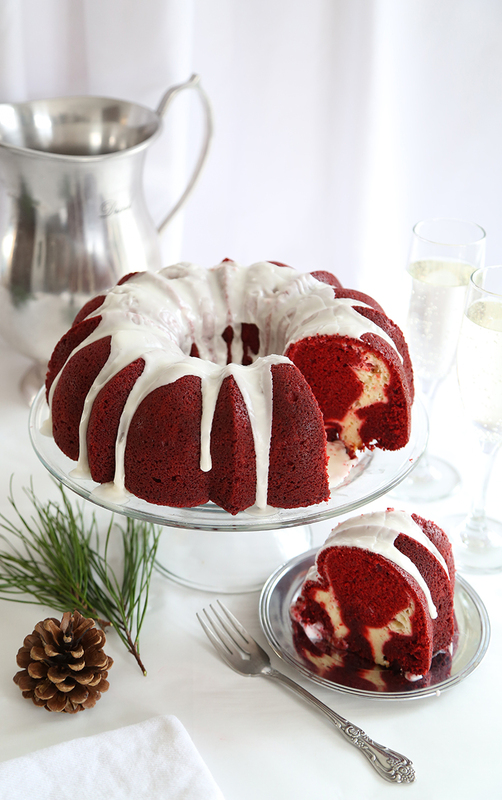 This one is mine, and I love it because it's not too sweet and it molds beautifully in a fancy bundt pan. It's fortified with cream cheese in the batter, and a healthy dose of yogurt makes for a soft crumb. 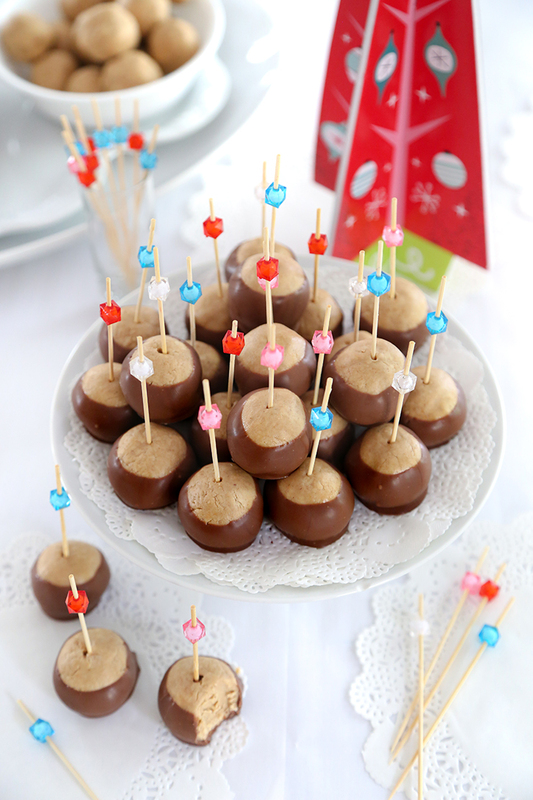 If you're planning a wedding then you may want to bookmark this recipe! It's an easy favor that has an extra ounce of magic. I find that fragrant teas often trigger sensory memories. Recently I had a conversation with my friends about it, and most of them had a fragrance or flavor memory to share. For example, each time I drink a certain brand of green tea I'm transported back to my old downtown apartment building where artists lived and worked. I like to drink it and reminisce. 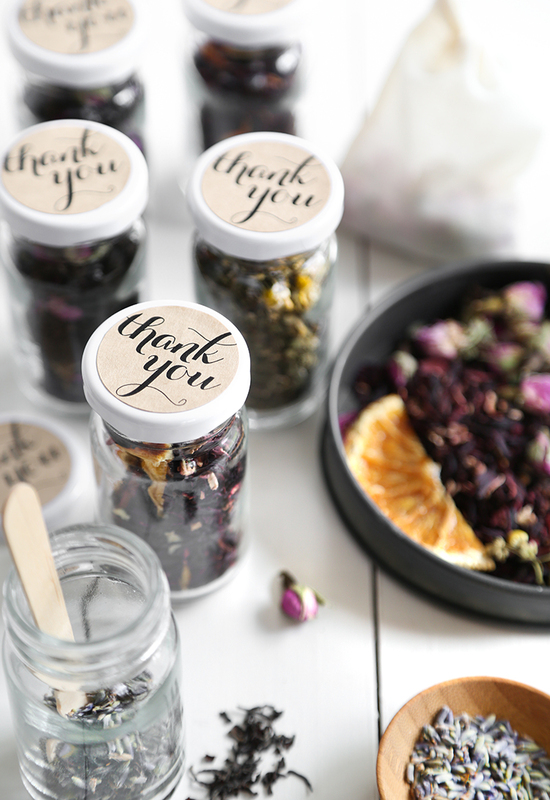 By making your own tea blends, you can transport guests back to your special day long after you say 'I do'. I hope everyone is having a great summer. It's hard to believe that next Tuesday we'll welcome August. August! How did that happen so quickly? Someone recently said to me that 2016 felt like it lasted 50 years and 2017 feels like it's lasted 3 days so far. That sentiment rang true with me. Even though this year is passing at lightening speed, I'm happy to welcome the coming months. 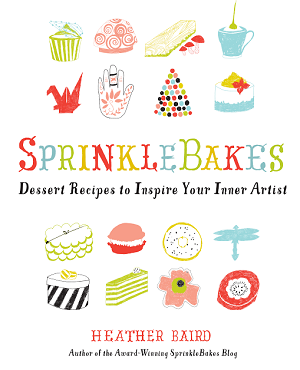 August winds down to the most inspiration-filled part of the year - baking season! I've already been filling my notebooks to the brim with cozy holiday recipes. Last weekend I had a birthday, which was celebrated low-key style with my husband and our puppers. 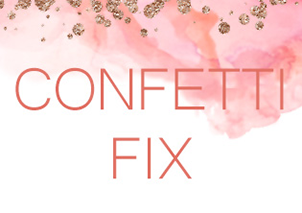 My family and friends always do a great job of showering me with love and confetti around my birthday, but on my actual birthday I like to to do my own thing. This year, I wanted to finish up the work I'd been doing on a French vanilla layer cake recipe (I know - working on your birthday Heather, so weird!) That's how this cake came to be, and how it became this year's birthday cake. 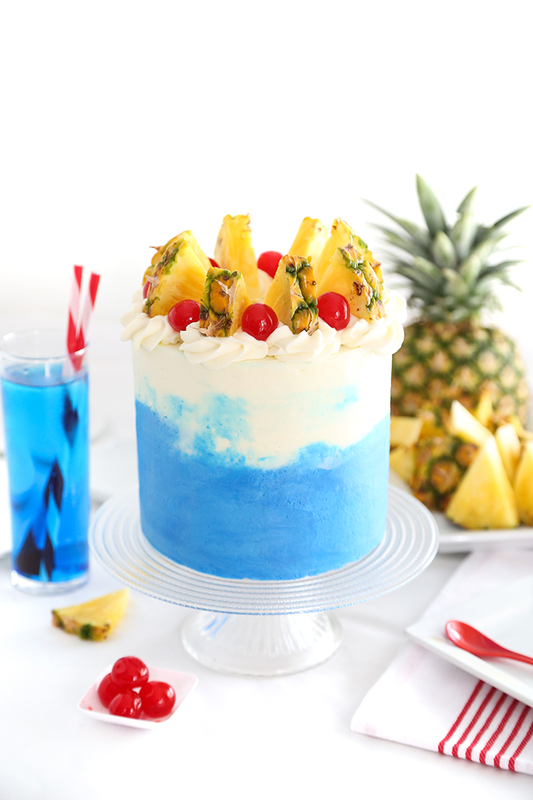 I'm so excited to tell you about this cake because it tastes like a tropical vacation. It's a nice indulgence, especially if you're like me and you're not sure a beach getaway is going to happen this summer (I'm still crossing my fingers!). Blue Hawaiian cocktails are fruity and delicious with cream of coconut, pineapple juice, rum and citrusy blue curacao. 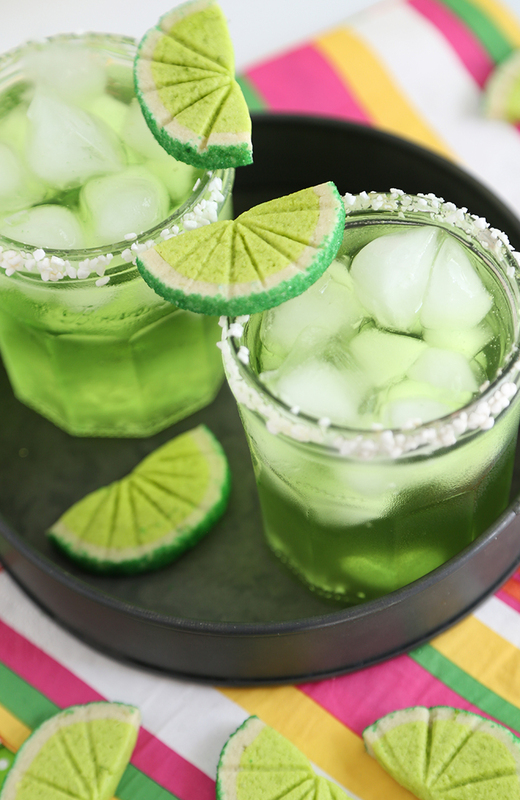 It's probably my favorite summertime cocktail ever, and it translates so well to cake! Happy Friday, friends! Today I'm partnering with Go Bold with Butter to bring you a recipe that celebrates the goodness of dairy in many forms. 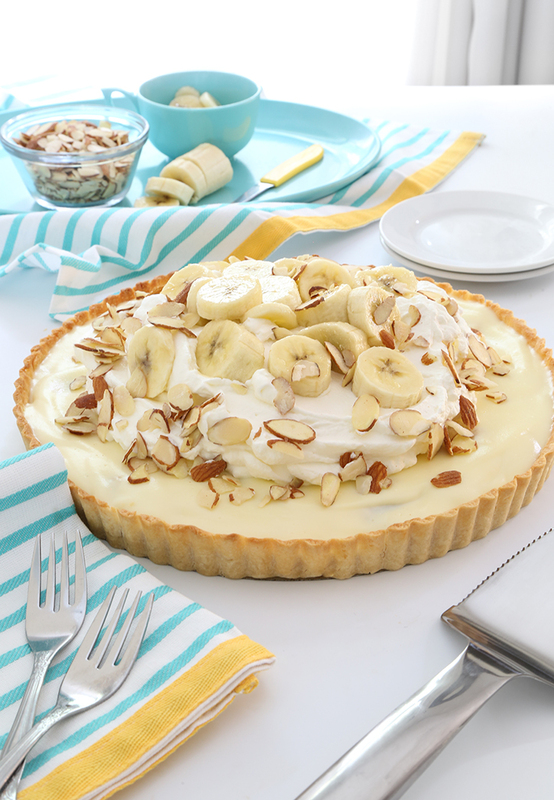 This is my favorite version of banana cream pie because it offers a flaky, buttery pie crust and silky vanilla filling made with milk and just a touch of cream cheese. Grits are much like the southerners who make them, which means it's hard to pigeonhole them into any particular category. Some folks like to serve them sweetened with brown sugar, others prefer them savory with sharp cheddar. Our neighbors further south in Louisiana serve them with shrimp on top. I appreciate all of these variants. 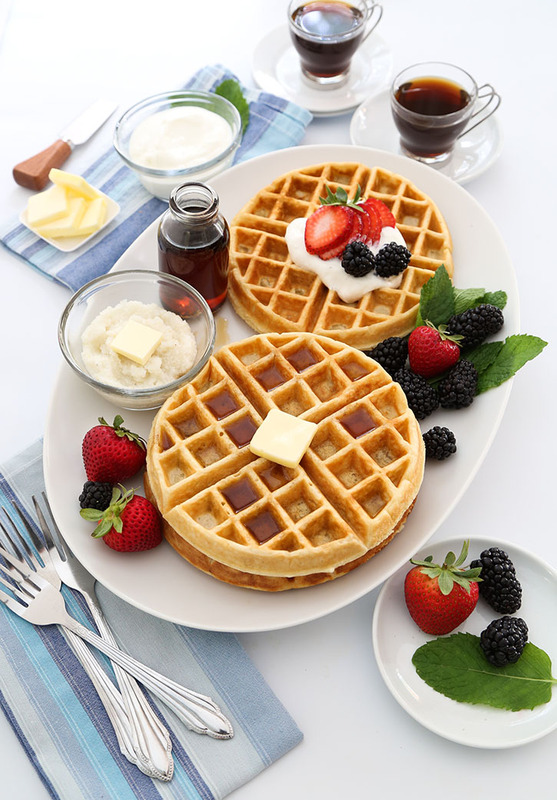 I usually serve grits plain with mix-ins on the side so you can choose your own adventure, but my new favorite way to serve them is waffled! 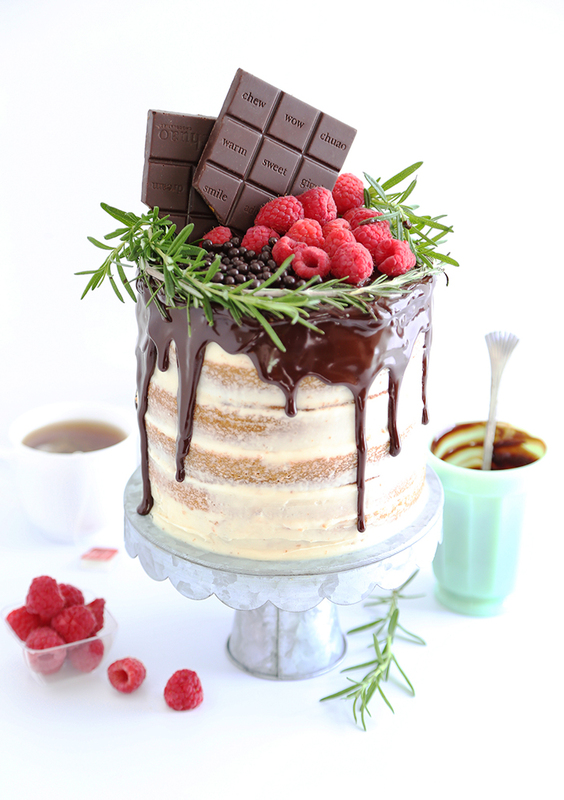 The idea for this cake came to me one morning before I was even awake. 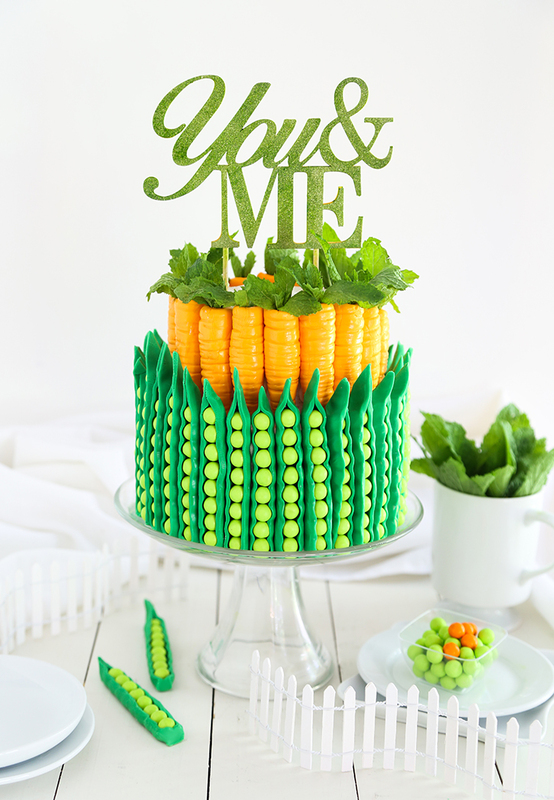 I had a dream about making a peas and carrots cake - and before you ask, I hadn't watched Forrest Gump before bed that night (haha!). I guess I've had romantic love and weddings on my mind lately because I'm making two wedding cakes this year for relatives. I think this cake would be a super cute engagement party cake, or even an anniversary cake. I've been on a real rosé wine kick lately (okay, perhaps since last July!) so I decided to give my favorite white chocolate mousse recipe a new twist! There's nothing better in hot summer months than a cold refreshing treat, right? 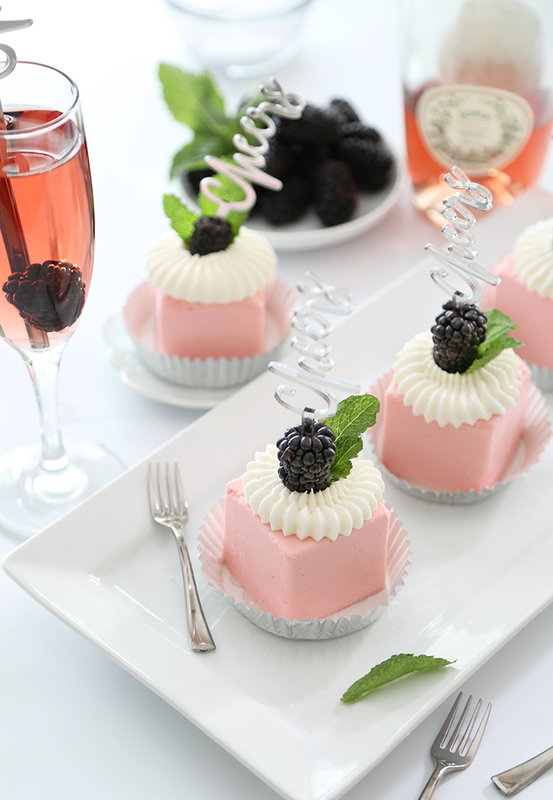 These toast-worthy pink cakes are served chilled, just like your favorite rosé wine! Hello, friends! You may have noticed that I've been absent from the blog for a few weeks, which was longer than expected. May was a busy month full of baking and photographing things for clients and working on a special passion project. I also threw my parents an anniversary party, which was really great and I got to see a bunch of my family and friends all at once. It was nice to spend time with them, but now I'm ready to get back in the swing of all things blog related! Tartufo may be the fanciest-to-eat but unfanciest-to-make dessert you should know about. 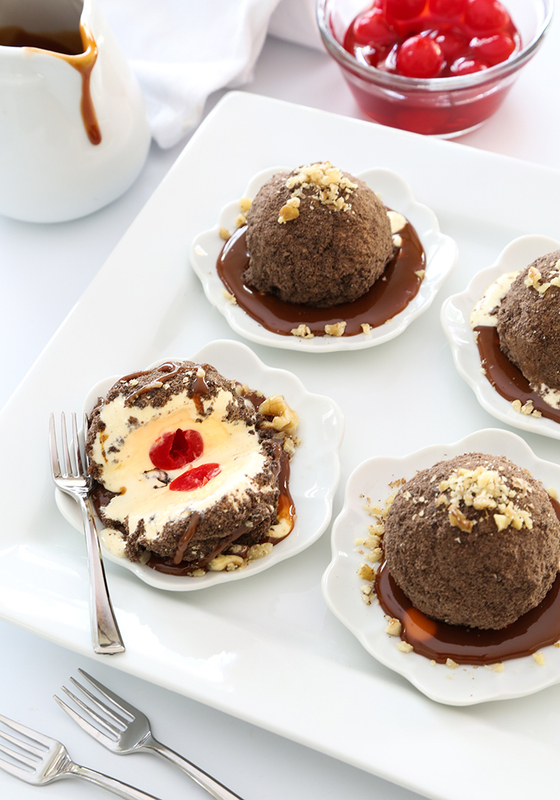 It's an ice cream dessert that originated in Italy, and the name tartufo means 'truffle'. I first tried a chocolate mousse version of this dessert years ago at a local Italian restaurant. I always order it when we dine there, and digging for the amaretto-soaked cherry in the center is like a treasure hunt! This version is my own, but it doesn't depart too much from the original. It only takes about 5 ingredients to make and I think it's an elegant ending for a dinner party! I have two special treats to share today! The first is this golden chai cake, which is richly spiced with cinnamon, cardamom and ginger. It's covered in honey-cream cheese frosting and together that makes the cake reminiscent of my favorite cup of tea. The second treat is a fun giveaway sponsored by Fair Trade brands. One lucky reader will receive a big box of Fair Trade products and ingredients in honor of Mother's Day! Each year at Mother's Day I partner with Fair Trade USA to help raise awareness about the important work they do to empower women. Did you know that women produce half of the world's food yet only own 2% of land? (Wow!) Fair Trade provides women with resources to start businesses and helps provide maternity leave and childcare. This helps increase educational opportunities and better medical care for their families. All we have to do to help this effort is to buy Fair Trade brands! It's so easy - it's a no-brainer! Cinco de Mayo is just around the corner, and I have some zesty little cookies that are guaranteed to make your fiesta 100% cuter! 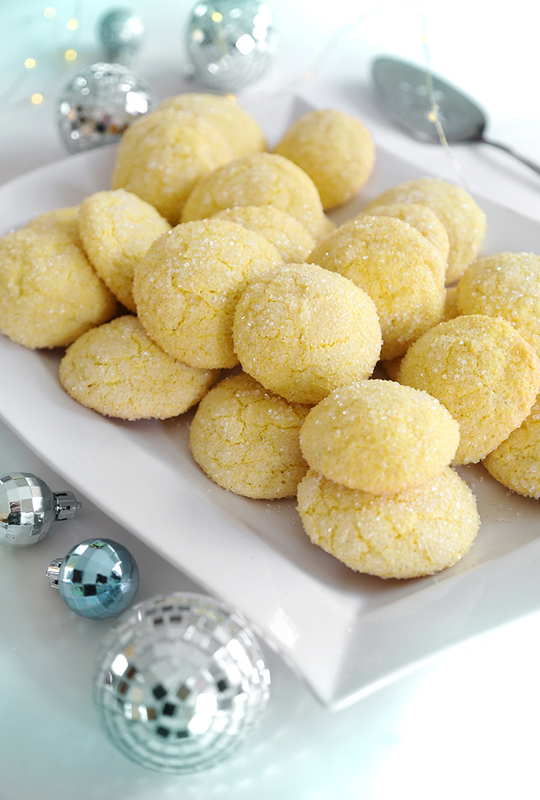 These citrus slice lookalikes are delicious butter cookies loaded with aromatic lime zest. I like to make the dough ahead of time and store it in the refrigerator, that way I can slice and bake the cookies at my convenience. There are a few steps to shaping the dough but it's not difficult - I promise! And to ensure your complete success with this recipe I've made a video tutorial for you to follow. If you're like me and like a little coffee with your coffee, then I have a great recipe for you! 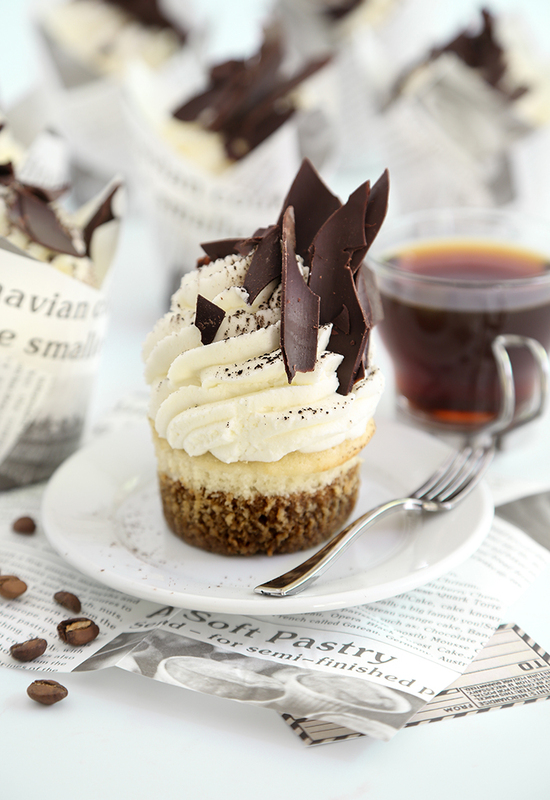 These tiramisu cupcakes belong next to your java and newspaper for an afternoon pick-me-up (but I can tell you from experience they make a tasty breakfast, too). The yellow cakes get dipped in a mixture of strong coffee, espresso and coffee liqueur - much like the ladyfingers in the original dessert. The frosting is a tall swirl of whipped mascarpone cream which is so silky and light, I'd use it to cover just about any sweet thing. The big flower pot of mint I planted last year on the back patio made a surprise comback. I'm so happy because I love using it as a fresh garnish on spring pies and tarts. Like most things in our back yard it's growing at rapid pace. Flowers are budding (weeds are too) and all of a sudden I remember that we're almost at the end of April. Next month brings us all kinds of happy celebrations. I made these cupcakes with two May events in mind. The first is Mother's Day (May 14th), and the second is the Kentucky Derby (May 6th). 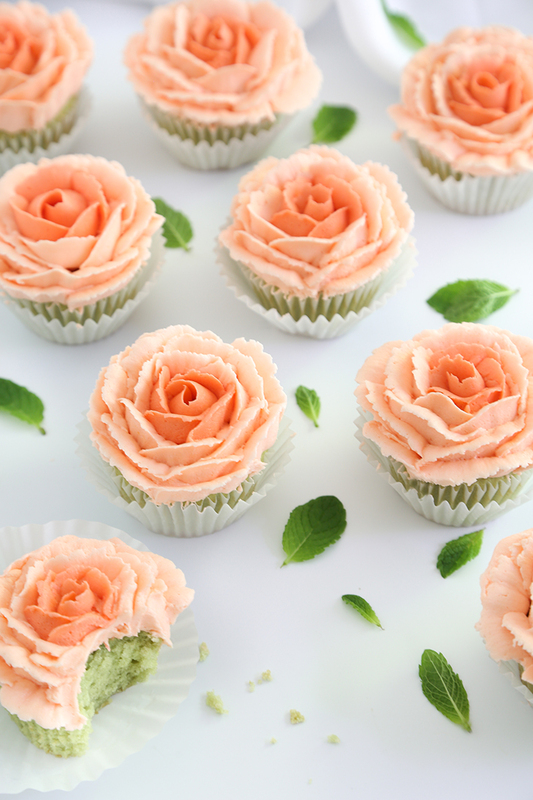 Both are worthy of pretty buttercream roses and toasts with mint julep cupcakes. It's been a busy spring so far and I don't think I've ever had so many wedding showers to attend. If you're in the same boat (and I suspect many of you are) then I have some tabletop gift suggestions that are not only practical but beautiful as well. 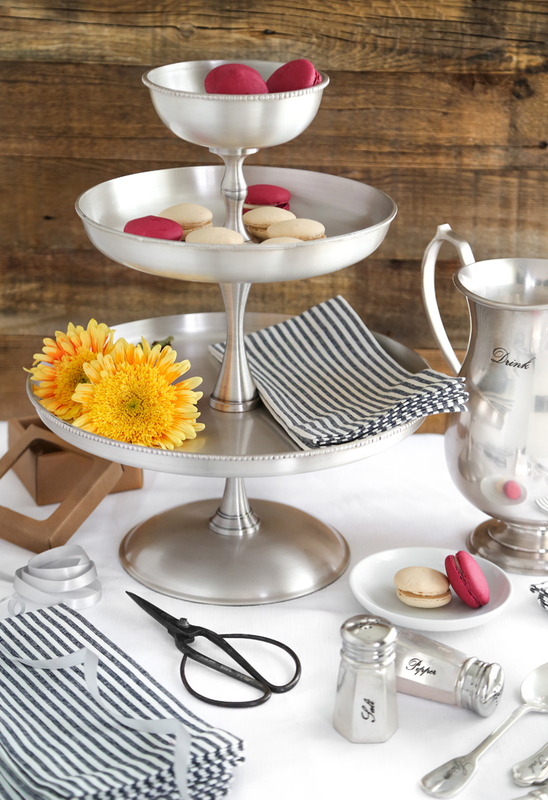 And if you're a soon-to-be-bride, then you may want to add some of these useful items to your registry! Melting Snowman Cake for Food Network! DIY Custom Wedding Tea Favors for the Etsy Blog!